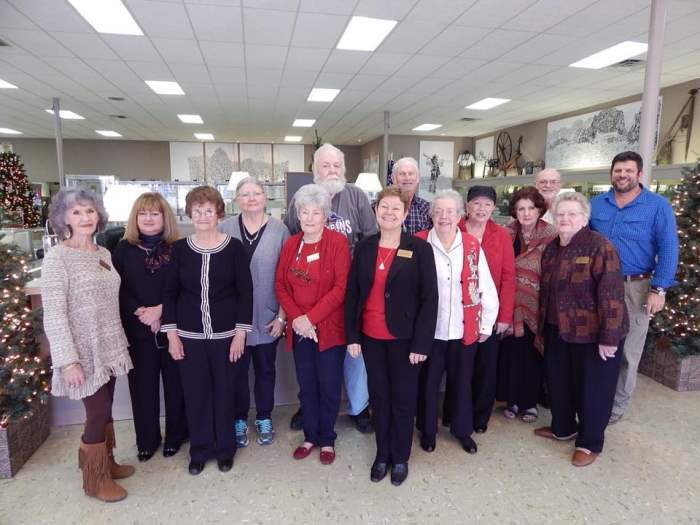 The Milam County Historical Commission met Monday, Dec. 14th,2015 for their last meeting of the year at the Milam County Historical Museum in Cameron. A Christmas Party followed the business meeting. Left to right; Anabelle Heine Hodge, Joan Ratliff, Mary Neely, Beth Brooks, Patsy Brymer, David Galbreath, Geri Burnett, James Brymer, Dr. Lucile Estell, Darleen Tucker, Carol Simank, John Pruitt, Delores Mode and Rockdale City Manager Chris Whittaker.